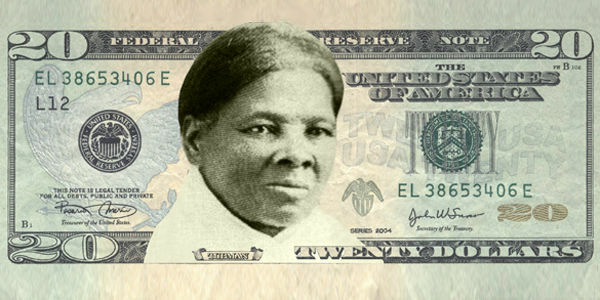 petition: President Obama: Answer Our Petition - We Want a Woman on the $20! President Obama: Answer Our Petition - We Want a Woman on the $20! Months ago, Women on 20s launched an unprecedented campaign to put a woman on U.S. paper currency for the first time in more than a century. After hundreds of stories in the media, millions of posts on social media sites, and a 10-week poll that garnered 609,000 votes, Harriet Tubman emerged as the popular choice to replace Andrew Jackson on the $20 bill. A petition asking for this historic change was submitted to the White House and the U.S. Treasury. Then, on June 18, Treasury Secretary Jacob Lew announced a plan in the works to put a woman (yet to be named) on the next bill up for redesign – the $10 note. While we appreciate that our movement may have accelerated the timetable for change, we find it symbolic and even ironic that the proposal of a woman for a high-volume, high-visibility note was met, quite literally, with a devaluation to a bill produced in one-quarter the numbers. We targeted the $20 to celebrate the 2020 centennial of women's suffrage, but the new $10 won't even be in circulation before 2022 or later. We also aimed to replace Jackson, our seventh President, known more today for his mistreatment of Native Americans, involvement in the slave trade and hatred of paper currency than for any other aspect of his legacy. The ten's Alexander Hamilton, on the other hand, was a visionary founding father who designed our monetary system and still deserves a place of honor on one of our pocket monuments. But as a tribute to women's accomplishments we can do better than to give 51% of the population a half a bill two years late. Where’s our good American ingenuity and resolve? Please join us in asking the President and the Department of Treasury not to ignore the more than half a million voters who made their preference known, nor the many voices in Congress and in the media calling for a change to the $20. While we are pleased that a woman will take her rightful place on the new $10 bill, the intentions for the more visible, more numerous and more internationally circulated $20 bill should be announced as well. Replace the slave trader with the freed slave and freedom fighter, Harriet Tubman in time to celebrate women in 2020. While we are pleased that a woman will take her rightful place on the new $10 bill, the intentions for the more visible, more numerous and more internationally circulated $20 bill should be announced as well. More than 609,000 people voiced their support for this plan earlier this year, and we find the announcement of the $10 plan to be missing the point. We targeted the $20 because it is a ubiquitous bill bearing the image of Andrew Jackson, known more today for his mistreatment of Native Americans, involvement in the slave trade and hatred of paper currency than any other aspect of his legacy. We have no desire to unseat the exemplary Alexander Hamilton, a visionary founding father who designed our monetary system. I am writing to express that I believe a woman needs to be on the $20 note, and that woman should be Harriet Tubman. Thank you for your time. In last night's GOP presidential debate, candidates were asked which woman they would put on the $10 bill. Senator Ted Cruz said he preferred a change to the $20, not the $10. Bravo. But the majority of the others resorted to nominating their relatives or even non-Americans, unable to spontaneously call to mind significant women in our history. Our mission all along has been to educate the public by making more of these amazing women visible and known in our everyday experience. Please share! Today, Politico announced their "Politico 50" influencers to watch and Barbara and Susan of Women on 20s are number 37! This is an incredible endorsement and highlights the continued importance of this issue in the American consciousness. Please do what you can do spread the word about this petition so we can get to 100k signatures -- share it on Facebook and Twitter. Thank you!